If you’ve ever arrived at the RV park or campground and discovered your site is uneven, you know how important it is to be parked on level ground. RVs come with built-in features you can use, such as RV stabilizers to handle uneven parking spots or plots. There are supplemental systems you can use, too, but for now, we’ll explain what RV stabilizers are, how to use them, and when to use them when traveling. RV stabilizers are a series of jacks or stands that help prevent lateral and vertical movement of your RV. Stabilizers see the most use in towable RVs such as travel trailers and fifth wheels. You do seem them utilized in motorhomes sometimes, but the four points of contact the wheels create in a motorhome usually create enough stability without the use of stabilizers. RV stabilizers are often built into the chassis underneath your RV’s body and can be activated from inside the rig. These stabilizer jacks can be motorized or manual. There are several diverse types of RV stabilizers, everything from simple universal jacks to scissor jacks to slide outs. The type of stabilizer jack you need will be dependent on the type of RV you drive. When buying an RV, if the one you’re looking at that doesn’t include stabilizers, they’ll often be an upsell but are well worth the investment. Make sure to invest in the right RV stabilizers for your motorhome or trailer type. It may seem like an additional cost you can skip, but parking on an uneven pad, you may cause more harm than good to your RV during a stay. Stabilizing jacks are often used in conjunction with wheel chocks and other leveling devices to make the RV as stable and level as possible. With stabilizing jacks, you won’t feel a back and forth rocking motion every time you walk around your RV’s floor space and don’t need to worry about items shifting around every time you take a heavy seat on the RV couch. While chocks and other systems can make you level, using stabilizers is the best way to stay level on uneven ground because of where they are installed on the bottom of your RV. The kind of stabilizer you use will depend on your RV. There are universal stabilizers, but I suggest doing your research first to find the most suitable stabilizer for your ride. Depending on the length, width, the number of slide outs you have, your tires, and more, you may need specific types of RV stabilizers to ensure you stay level no matter where you go. Use RV forums or call your manufacturer to get ideas of what types of stabilizers or leveling/stabilizing combinations are best suited for your rig. Your RV dealer will be able to recommend stabilizing options as well when you visit a lot. RV stabilizers should be used anytime you’re parking on an uneven surface, such as dirt, gravel, and grass. Depending on where you park your rig, you may find even concrete, and asphalt pads are uneven due to wear and tear. Stabilizers are a good idea in these cases, too. Once you park your rig, walking around in the RV will tell you immediately if you need to engage your stabilizers. You may also need stabilizers for types of RVs. 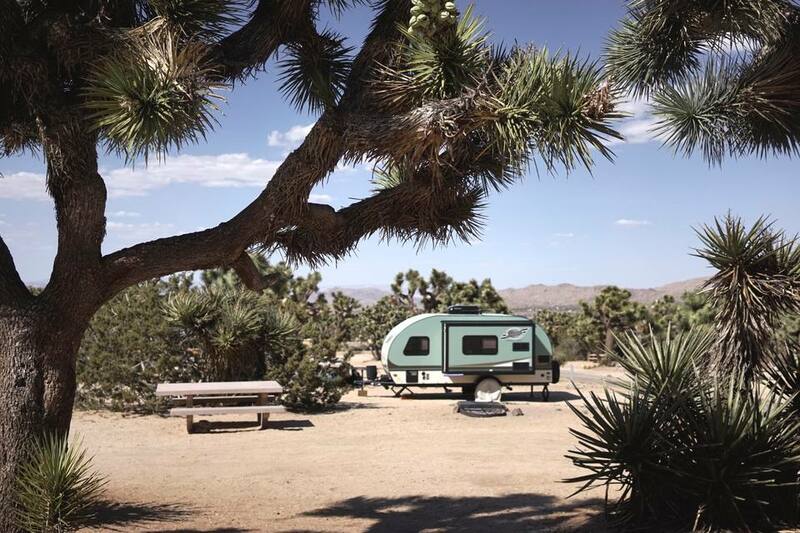 Towables, such as fifth wheels, travel trailers, and campers will only have a few points of contact with the surface you are parking on and stabilization to prevent shifting when parked. Fifth wheels are the most likely candidate to use stabilizers due to how the weight is placed on the fifth wheel’s body, but many trailers can use them as well. The lighter your RV is, the more likely it will need stabilizers, too. A heavy RV or trailer will use its weight to stabilize itself to the ground while lighter RVs don’t have that advantage, meaning they are more likely to shift around due to movement inside. Some lighter coaches like class B or C motorhomes are candidates for using stabilizers. One last note, having a level and stable RV is important if you have an absorption refrigerator. These fridges must remain level, or you risk doing irreparable damage, and no one likes shelling out for new appliances. Make sure you know what type of RV refrigerator you have before you make the buy, so you know what precautions to take when parking and leveling. If you’re tired of worrying about your RV rocking back and forth or up and down, it may be time to consider getting yourself some stabilizers if you don’t already have them or use them more if you do.